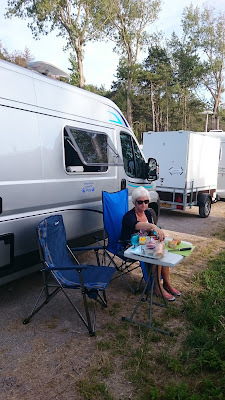 We're parked at an aire a short walk from the beach at Quend-sur-Plage, on the north France coast. The sun's shining but it's quite breezy so a little chilly. The aire's set amongst tall pine trees and is very busy, mainly French families here for the weekend, although a couple of Brit vans are by us. This is the second one we tried as the first, at Fort Mahon place, was toppers. We stopped at Fort Mahon last October; it's a typical seaside grockle place, mainly concrete and fast food joints, so we weren't too upset. In fact this one is better. It's €7 per night but we don't have any change so, unless someone comes around to collect the money, it'll be free! 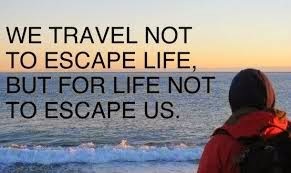 We left home at 0730 and the journey was all motorway, with the usual hold-ups on the M25. We arrived at the Shuttle terminal two hours before our booked time and managed to get a train an hour earlier at no charge - result! 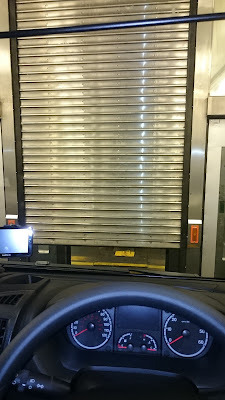 The crossing was as easy as always and about half an hour later we arrived in Calais. We drove off (with no sign of migrants) and headed for Citie Europe; we wanted some food and cash. This shopping centre is huge but it only had one working ATM - luckily the CaxtonFX card I'd pre-loaded with Euros worked fine (always a worry with a new card!) and we managed to avoid the many temptations in Carrefour, just buying a few items for dinner and, if we don't eat everything tonight, for lunch tomorrow (we scoffed the lot so we'll need to shop again tomorrow!). I tapped in the coordinates for Skipper's Bar, a small place in Hauteville-sur-Mer that sells great moules, then headed off, stopping for fuel on the way. Skipper's is a few hours drive away (we avoid the toll roads) and we wouldn't make it tonight, so the plan was to drive until we'd had enough then find an aire for the night. With Fort Mahon full, we ended up here. We managed to find a small space on this busy aire, another good reason to have a smaller van, then locked up and went for a walk. The village is very touristy with lots of fast food joints and a small funfair, but there were also a couple of decent looking bistros selling seafood. We had a short, barefoot walk on the sandy beach before returning to the van. Dinner was eaten outside but it was a bit blowy and chilly, so we went back in the van for a brew. It's now 2040 and still very light - why, oh why can't we adopt mainland Europe time? It would be so much better with an extra hour of light. Cathy's reading while I write this up, but we're both feeling weary after a long day's travelling, so I don't think it'll be a late night. We're already quite chilled and looking forward to our first full day in France tomorrow. 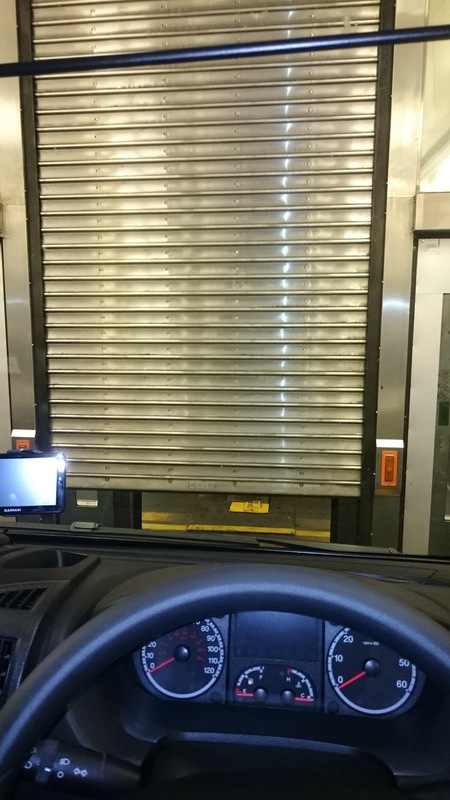 On Le Shuttle - France-bound - yay!